We sit down, 1-on-1, with Jonathan Budd, one of the top internet marketers, who has achieved incredible success, to find out more about who he is and what lead him there. As you’ll quickly discover, Johathan Budd is one of the most sincere and genuine entrepreneurs you can find, which undoubtedly played a tremendous role in the millions he’s made. But, more than the impressive track record of success is the focus on takeaways and the learnings along the way, as well as the desire to live a balanced, healthy, happy life full of love. Like any successful entrepreneur, Jonathan has experienced many failures along the way. However, what sets people like him apart is, as he puts it, “finding the gold in your failures”. There are TONS of “nuggets” in this episode, so get ready! 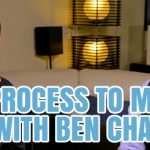 Enjoy this fantastic interview, and go take MASSIVE action on that very next step that you know you need to do. Tell us below what you loved about it in the comments section below and get an entry into the LifeOnFireContest.com for BIG PRIZES!!! For more on SMASHING through mental roadblocks to success, checkout the “Moment on Fire” Life on Fire TV episode HERE!